Turn Off the steam, temperrature at 130-150 degree. Tile clothes in the Ironing pad. Technics:Iron on. If isn't Ironing intact, repeat step 5. 8-10 seconds with a beat. The pattern on the position you want to paste. 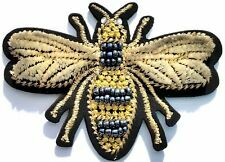 Bee with gold thread, tiny beads and textured velvet wings. 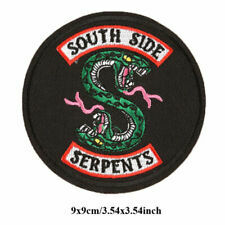 Embroidered, quality iron On patch. (3) Place a cotton tea towel or fabric over the patch, ensuring it remains in place. (1) Ensure surface the patch is going onto is flat. Technics: Embroidered. Not only can be a patch, but also can be a cool decoration. Bright colors,fashion and special design. Color: Silver. Great to sew it on your own cloth,jacket,jean,cap,T-Shirt and etc. 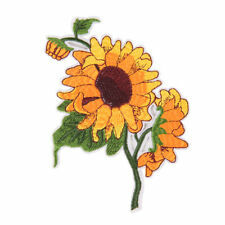 Iron on fabric daisy flower. Pink and green colour. Quick dispatch! Blue iron on peacock feather. 2pcs Pink iron on hearts. Black sequin embroidered iron on star. Van Gogh Starry Night Embroidered Patch Iron On Quality Crafts Applique Art 3.5"
Van Gogh "Starry Night". · Step 2: Place your applique or embroidered patch in the desired position and place a 100% cotton cloth (such as a tea-towel, sheet or pillowcase) over the top. · Step 5: Allow the applique or embroidered patch to cool down. 2 Green iron on transfer peacock feathers. 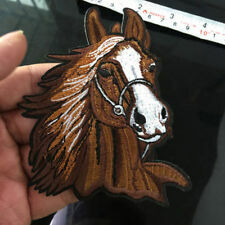 Iron On, unicorn skeleton patch. (3) Place a cotton tea towel or fabric over the patch. (5) Turn item inside out and iron for 15 - 20 seconds on the reverse. (1) Ensure surface the patch is going onto is flat. Viking In Odin We Trust Valhall Norse Iron On Embroidered Morale Quality 3.5"
Til Valhall. In Odin We Trust. (2) Adjust iron to highest temperature fabric can tolerate. 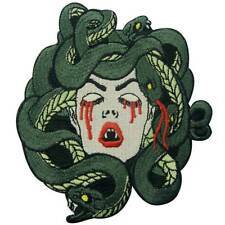 Embroidered, iron on patch. Iron on instructions (4) Keep iron on for approx 15 - 20 seconds, do not move backwards and forwards. Pink iron on heart sequin embroidered. Rhinestones Bow Embroidered Patch Iron on Sewing Crystal Applique For Jeans By.. Product Type:Patches. 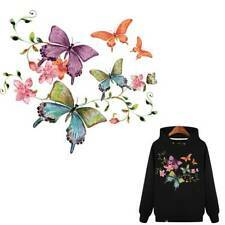 Material: Embroidery cloth. 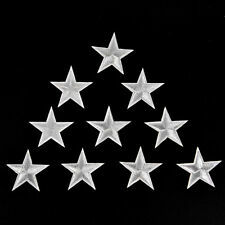 Quantity: 12pcs(6 X Silver Star,6 X Gold Star). Due to the different monitor and light effect, the actual color of the item might be slightly different from the color showed on the pictures. 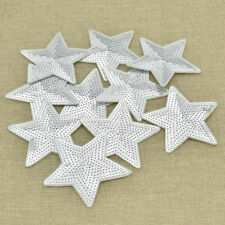 These embroidered star patches are available in purple, red, blue, brown/bronze, black, green, white, yellow, silver, gold and mixed. How to use star patches. But star patches can be used in other ways. Great to sew it on your own cloth, jacket, jean, cap, T-Shirt and etc. Beautiful and attractive patches. Size:As picture shows(Approx. ).